When the right approach is applied, analytics can drive more effective marketing strategies. While marketers understand the role analytics plays within the organization, most are not leveraging analytics to really drive enterprise performance. 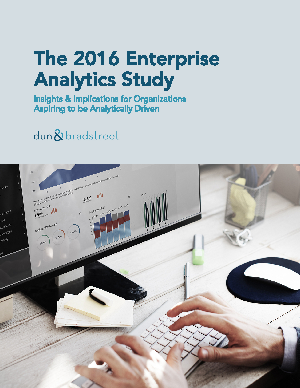 We surveyed 100+ business leaders to understand the state of analytics maturity across today’s leading organizations, uncovering common challenges teams are facing in their quest to use data and analytics to deliver a competitive advantage. Download the report to learn how marketers, like yourself, view themselves in light of using analytics to drive their business.